With the rising status of sushi and Japanese salads, you’ve probably had some experience eating sea vegetables. Typically dark green and delicately thin, seaweeds are considered supernutrients because they provide crucial trace minerals, a healthy dose of vitamins C, E and B complex, plus beta-carotene and dietary iodine. When making stock or soup, simply toss in a 3- to 5-inch strip of dulse, wakame, kelp or kombu per quart of water. Seaweeds are a great substitute for table salt, as they lend a gentle salty flavor. Blend one tablespoon of dulse flakes or granules along with one avocado, three diced scallions, one tablespoon lemon juice, and an eighth teaspoon cayenne. 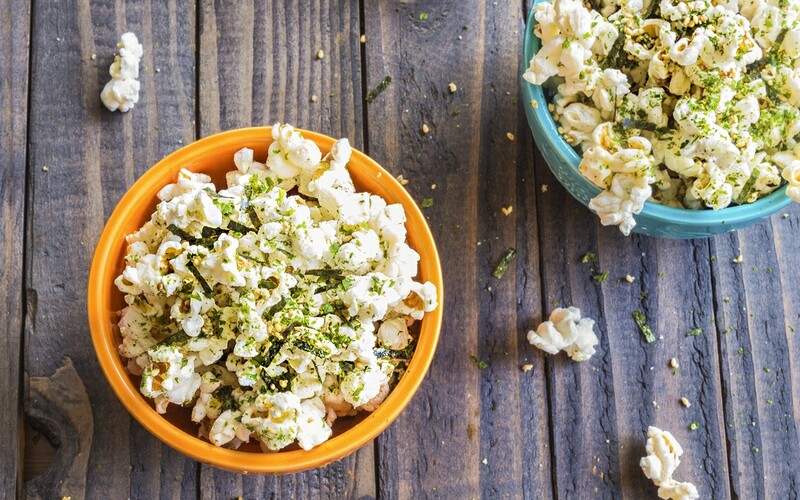 Instead of just using salt on your next batch of popcorn, sprinkle a bit of powdered kelp on as well. Use sea palm instead of fettuccine noodles. Soak for 20 minutes, then steam for 15–20 minutes. Top with your favorite sauce or dressing.